Great Cornerstone Health and Life Insurance Company is a relatively new player in the insurance industry, having been established in 2002. The company was founded by father and son team, Carl and Brent Gibson. At the time of its founding, the elder Gibson already had put almost 40 years into the insurance industry before deciding to start his own company. Great Cornerstone began as a small family business but has since grown into a fairly large company providing insurance services in the states of Texas and Oklahoma. 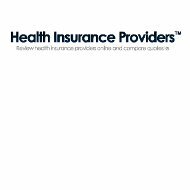 Online health insurance quotes are but a click away if you enter your zip code into our free search tool now. Great Cornerstone is unusual by today’s standards of health insurance in that they do not operate like an HMO. Instead, they mostly provide specialized health insurance products aimed at specific needs. For example, they offer an accident protection policy, which covers a customer against any costs incurred by any type of accident, whether it happens at home or at work. They also provide specialized policies for cancer treatment, heart disease, and hospitalization. They do provide two broader coverage options including group dental and vision and a program known as First Benefits. First Benefits is similar to traditional health care coverage in that it provides for basic medical needs. First Benefits has three levels of coverage, which include routine office visits, prescription drugs, hospitalization, and routine tests. However, unlike an HMO there are no provider networks involved. If Great Cornerstone has a relationship with your doctor, they will pay him or her directly. If not, they will reimburse you for any bills you pay on your own. It is not uncommon for insurance companies to claim customer service is at the core of their business. Great Cornerstone is no exception. However, on their website they claim to be committed to customer service to the extent that they don’t even use an automated phone system. Whenever you call the company using the toll free number a live representative will answer and ensure that your call is directed to the individual who can best meet your needs. Although their company website is not as comprehensive in terms of customer service as some larger insurance companies, this appears to be by design. The website does provide all of the important information a customer would need as well as downloadable claims forms, policyholder forms, and instructions. They also have an FAQ section designed to answer the most basic questions customers normally ask. Great Cornerstone Life & Health Ins. Co.
Great Cornerstone works with a network of local independent agents in Oklahoma and Texas. They claim to be a “hands-on” company that values its agents just as much as their retail customers. Already registered agents have access to an online portal where they can manage all of their client accounts as well as access various agent tools. Agents who wish to become part of the Great Cornerstone family can visit the agent portion of the website and download the necessary forms and instructions. Unfortunately, Great Cornerstone does not provide any means of finding a local agent on their website. Again, this appears to be by design. You can locate agents either by calling the company directly or by simply looking in your local yellow pages under insurance. For standard medical, dental, and vision claims, customers usually have to do nothing more than show their insurance ID card to their provider. In most cases, the provider contacts Great Cornerstone for verification and then bills the insurance company directly. Customers will not be involved in the payment process except to make any co-pays necessary. In the event that a customer pays for a service out-of-pocket, he or she can be reimbursed by submitting a claim form. For supplemental policies such as Great Cornerstone’s cancer or heart disease coverage, customers will be required to pay for services upfront. They can then download an insurance form from the company website and submit it along with an itemized statement from their provider. Great Cornerstone will then reimburse the customer according to the itemized statement. You can see health insurance rates from companies just like Great Cornerstone by entering your zip code in the box below.